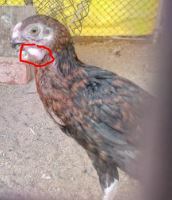 My two and half month old chick has swollen neck. even it's brother got transmitted the same infection. It's been like moe than a month in entire batch, using antibiotics....but no improvement. Please let me know for any remedy.